Capcom is on something of a roll currently, listening to fan feedback in order to bring back such franchises as Mega Man, Resident Evil, Onimusha, and Devil May Cry with a bang. A new Ghouls ‘n Ghosts is only a matter of time, but until then, there’s Battle Princess Madelyn to look forward to. 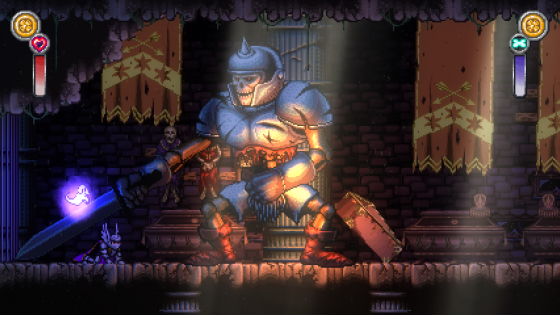 The pixel-art action platformer hit its Kickstarter target some time ago. After two years in development, it finally has a release date – 6th December 2018. It’s set to launch simultaneously on PS4, Xbox One, Switch and PC (Steam), with a Wii U and PS Vita launch planned for 2019. Yes, it’s due on Wii U. Presumably, this was one of the Kickstarter goals. “It’s been an exciting, exhaustive, stressful, enjoyable, frustrating, etc. period over the last two years developing Battle Princess Madelyn and I would do it all over again. The feedback that has been given in the creation of the game, the positive remarks, the way social media, the specialist gaming press, etc. have supported the game throughout this long period has been nothing short of remarkable. The end result is a game the team are all proud of and went beyond what was envisioned. Within a very short time gamers will be able to play Battle Princess Madelyn. I hope it will give them as much enjoyment as it has to the team that created it!”, said Christopher Obritsch from the Canada-based Causal Bit Games. 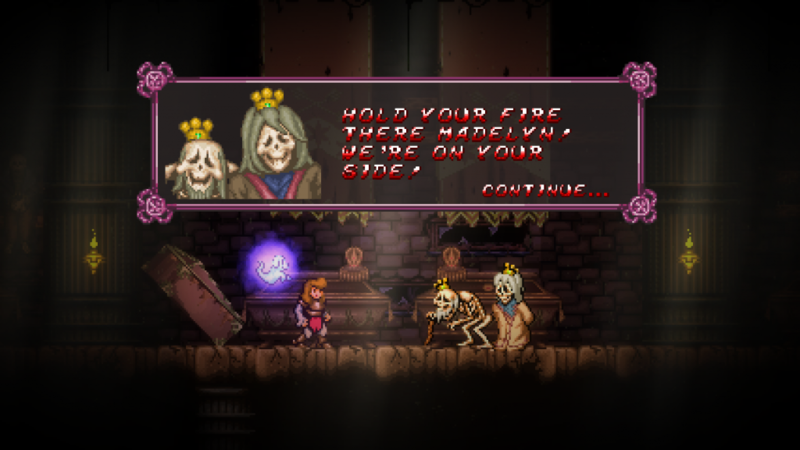 Battle Princess Madelyn will offer two different modes: an arcade-like affair with 16-bit sensibilities and all the trimmings, and a story mode with stronger sense of adventure. All ten levels – which feature five stages each – can be replayed at any point. Another neat feature is that Madelyn’s ghostly dog companion, Fritzy, gains powers as you progress. Fancy feasting your eyes on more glorious pixel art? The Steam page has you covered.